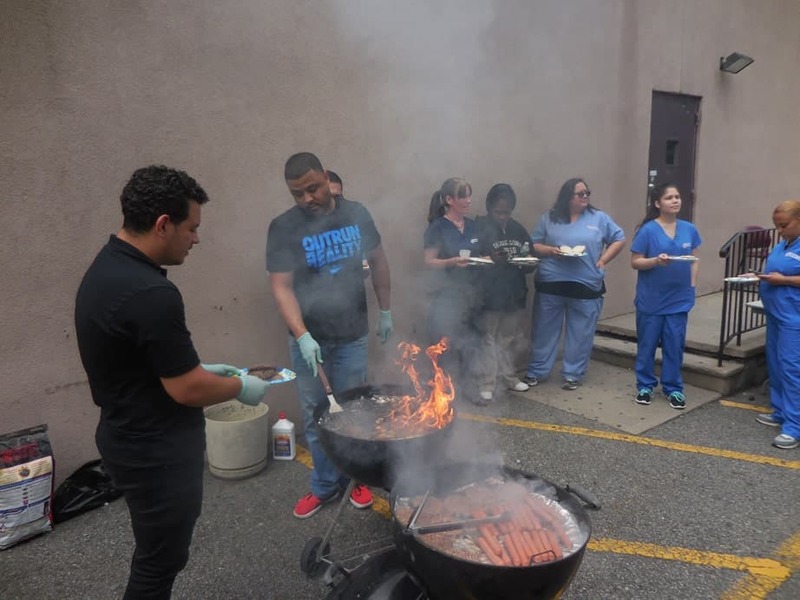 Faculty, staff and more than 100 students from American Institute’s Clifton, NJ campus celebrated Memorial Day with a traditional “backyard barbeque” in the parking lot behind the school. In addition to the hot dogs, hamburgers and camaraderie, Mrs. Gonzalez from the Medical Assisting Program held a health fair, where students could learn about health issues and get health screenings from students in the MA program. Mrs. Muse addressed the group briefly, reminding students about the meaning of Memorial Day and thanking them for their help in organizing the event.